Despite having different fishing plans this weekend, the weather put hold on these. And now Paddy’s young fella was not well so that ruled him out, so I set off with Lee Byrne to an East coast mark with some top quality fresh crab and rag from Danny in Dublin angling centre. We arrived at the mark just as the tide was starting to rise. With my first rod in place, I started getting the second rod set up, but before I could get that one out the first one went bang and it was bass on. The rod bent over in a healthy fashion as I wound in but all too soon the rod pinged back straight and I thought it was gone. 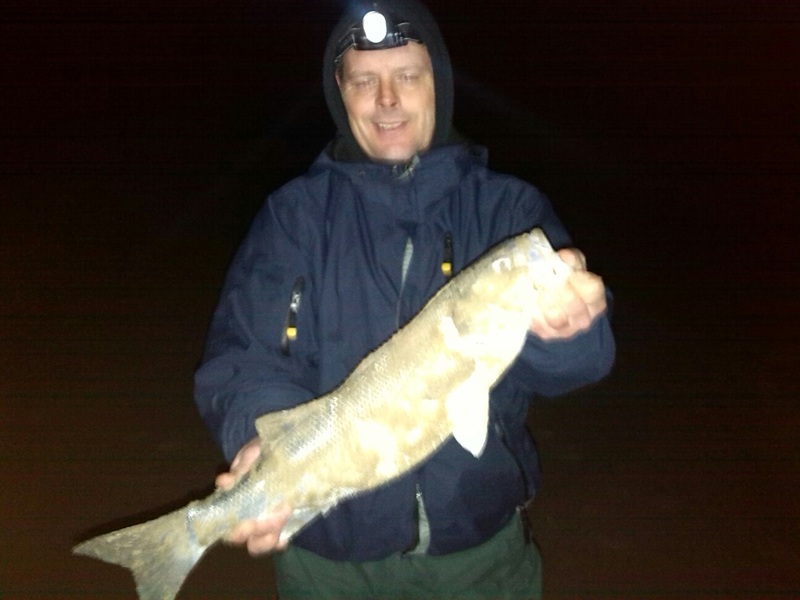 I kept winding and it was still there so I was delighted to see a bass of 6.3lb on the shingle. We took a quick few pics and back she went swimming off strongly. I got another crab bait back out there and finished getting my second rod out. It was quiet for an hour or so then the second rod got a proper wallop and I was into another fish which was fairly lively coming in. With a picture on the phone and a quick weigh showed it to be 5.6lb. and was then released. 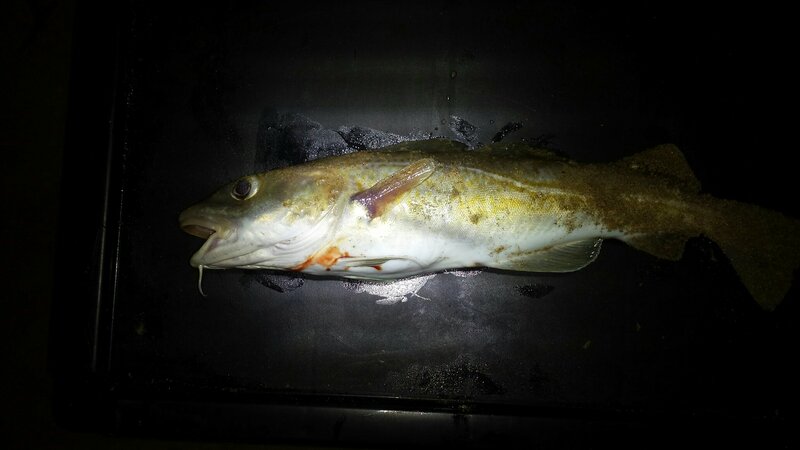 Just an odd dogfish for the next while and a bonus codling. After another hour or so passed when I got a more bassy looking bite. 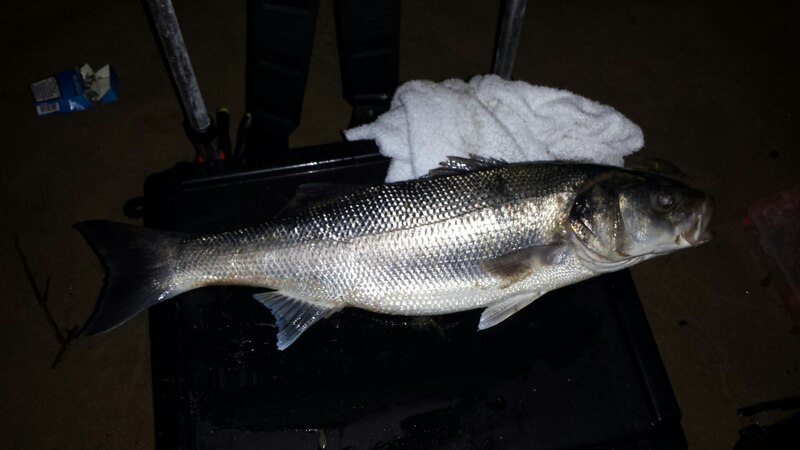 My third bass of the night and another lovely looking fish of 3.5lb again returned. 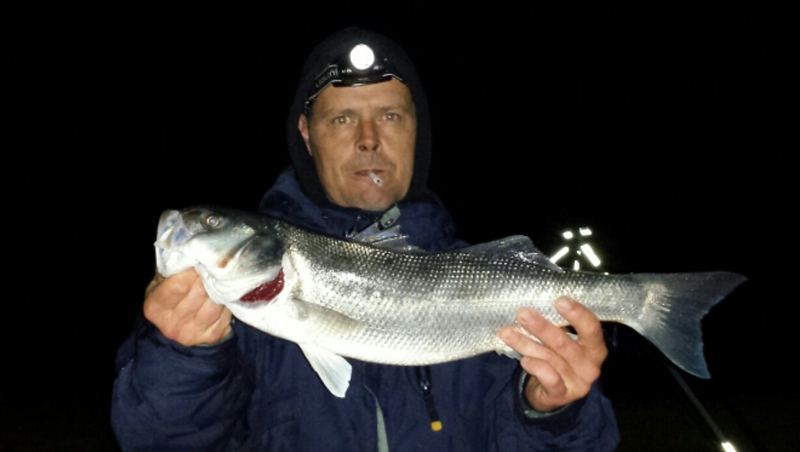 The bass during the night had all taken crab and the rigs used were pennell pulley and up and over. 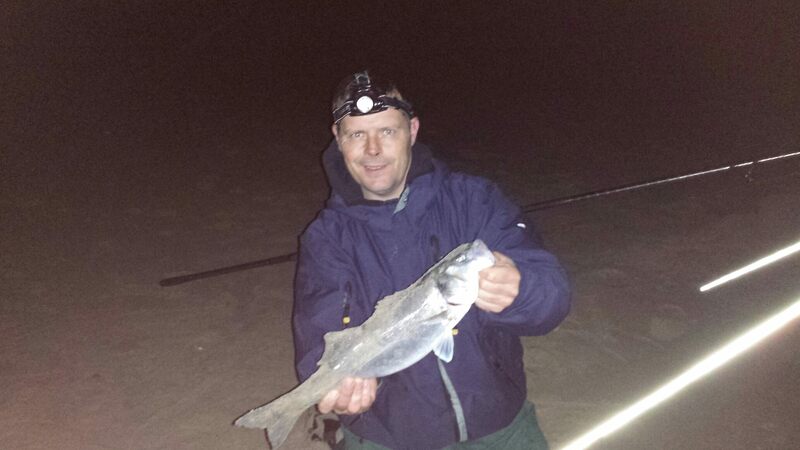 It had turned out to be a good night for the small tide and being flat calm, we called it a night and started packing up the gear…… rods out last of course!